The BBC has announced that iPlayer is now compatible with an impressively wide range of portable devices – pretty much any portable media player (PMP) that supports Windows Media-protected content. "This is the first time that you can play BBC iPlayer TV programmes on a range of portable media devices," claims Anthony Rose on the BBC Internet Blog. 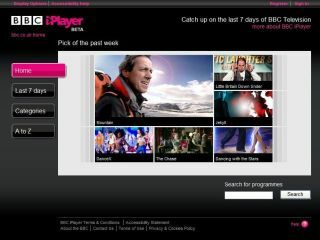 Aunty Beeb has tested the BBC iPlayer on Sony Walkman E and S series, Archos 605 WIFI and Internet Media Tablet, Philips GoGear 52xx series, Samsung YP-P2 and YP-Q1 and Nokia N96, with the full, increasingly impressive list of compatible devices on which iPlayer is available listed online. Of course, you will need to download (or 'sideload') rather than stream your shows live if you have a device without Wi-Fi and if you are planning to buy a new PMP to view iPlayer, then be sure to double check whether the device supports Windows DRM. "For our Mac and Linux users, don't despair: we have another release coming up very soon, aimed at improving your BBC iPlayer options - stay tuned for updates..." Rose adds.